The project “Ukraine Press-Tours” has been realized by the Academy of Ukrainian Press with the support of Media Development Foundation, the Embassy of the USA to Ukraine. On December 11-15, 2018 we met a group of reporters from Bulgaria and Georgia. 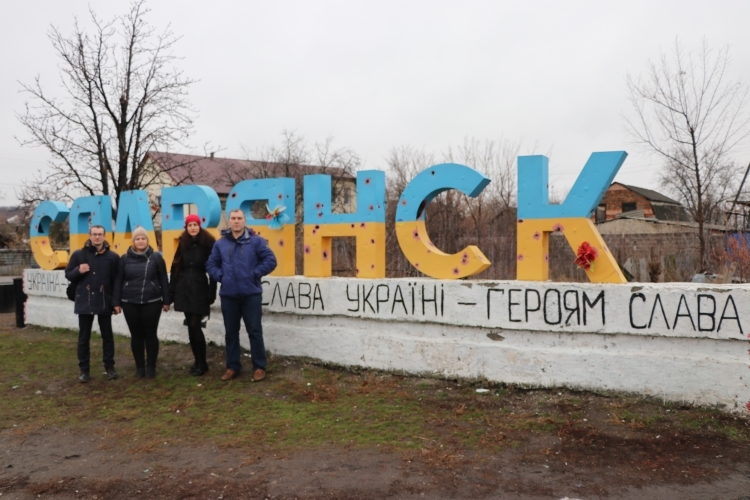 International colleagues visited Kyiv and the towns of Donetsk and Luhansk regions. All the series of press tours are aimed to show foreign journalists the real situation in Ukraine and in the east of the country, as well as to introduce the perspective expert vision and opinion of society on various issues. A 5-day program was quite intensive and provided such an opportunity. Below you can explore where the foreign guests have been, and how they have managed to enrich their professional background. 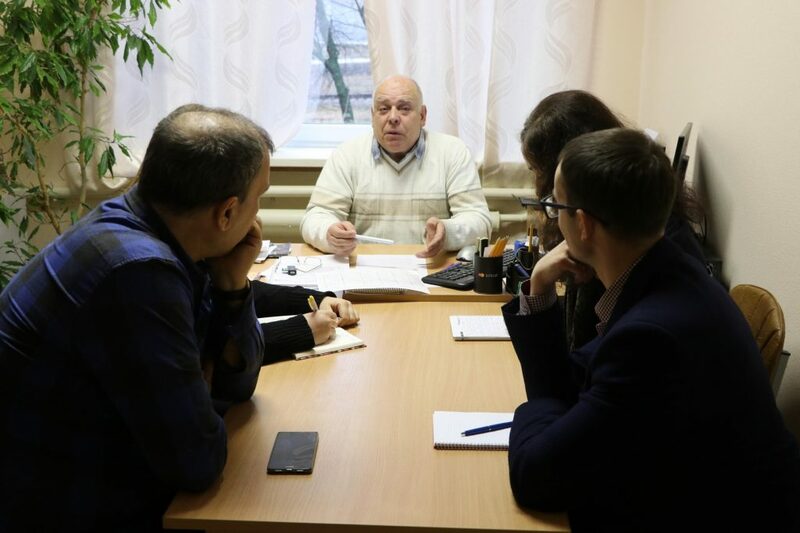 On the first day foreign journalists visited the editorial office of “Dzerkalo Tyzhnia” (“Weekly Mirror”) newspaper and talked to Volodymyr Mostovyi, its founder and Serhii Rakhmanin, deputy editor-in-chief. 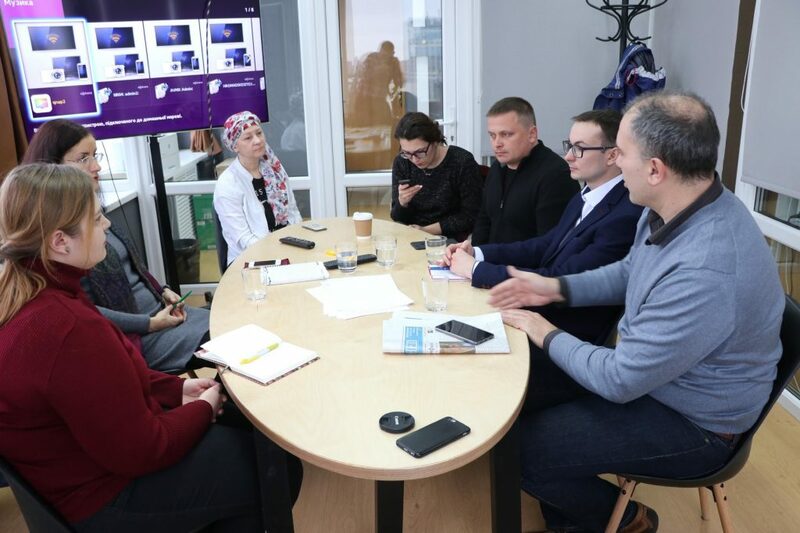 Afterwards, the group visited Kyiv office of “Hromadske TV” (Ukrainian Public Service Telecasting) where its reporters shared their vision of professional news coverage with guests. During the third meeting on the same day we had an interview with Oleksandr Levchenko, Advisor to the Minister of Temporarily Occupied Territories, Ex-Ambassador of Ukraine to Croatia as well as Bosnia and Herzegovina (2010-2017). 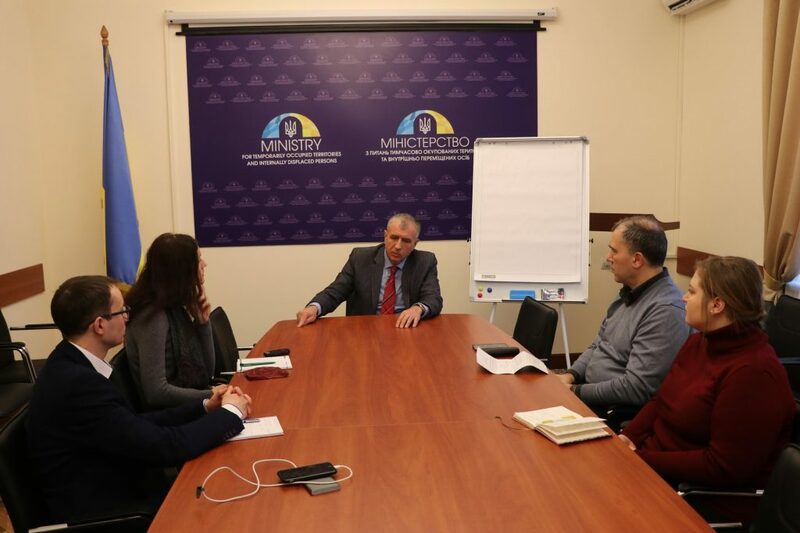 In the building of Ministry, the Advisor told our press-tour participants about the real situation on the occupied territories and represented a set of activities that should be done to solve the conflict issues. Then, Serhii Tomilenko, Head of the National Union of Journalists, told about protection of reporters’ safety and security rights and specificity of professional work in Ukraine. After that, the participants visited Verkhovna Rada of Ukraine. We communicated with the Members of Parliament there: Mykola Kniazhytskyi and Viktor Yelenskyi who outlined the issues of cultural and religion development in Ukraine as well as the events which preceded Ukrainian Orthodox Church’s Unification Council. The day was ended by the visit of participants to the National Memorial Complex of the Heavenly Hundred Heroes – Revolution of Dignity Museum. The guests explored more about the events of 2014 there from direct witnesses and observed the exhibition of items. Upon that we stopped at Crisis Media Center “Siverskyi Donets” that was situated in town Severodonetsk (Luhansk region). We spoke there on the topics of town development, its perspectives, and events that took place since it had been taken by rebels and after the liberation. 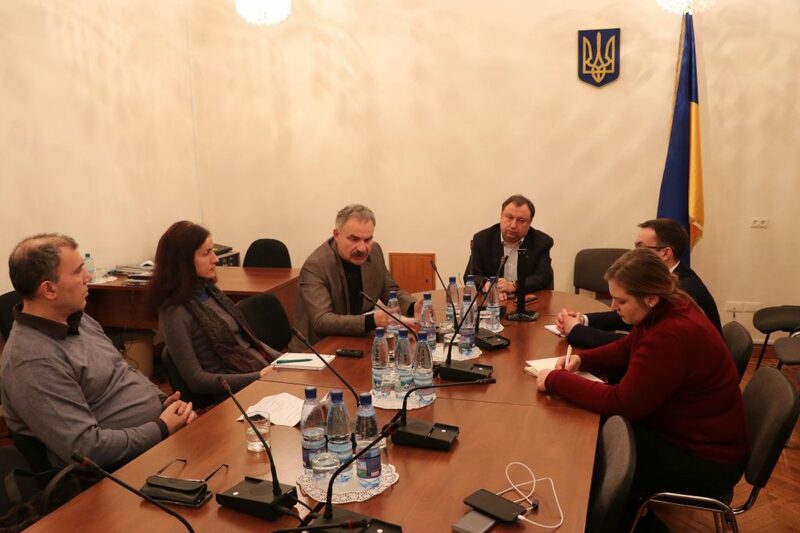 Serhii Piatnytsia, Head of Crisis Media Center; Oleksii Malevanets, Head of Community Board under Severodonetsk District Administration; Arif Bagirov, founder of town website and local blogger; and Oleh Nevenytsia, expert on cultural development, answered the questions of reporters. 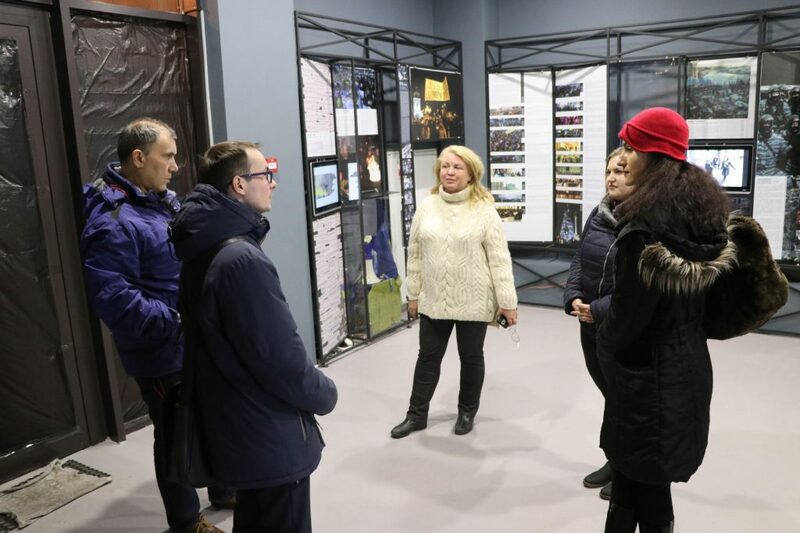 Team-workers of Crisis Media Center conducted the excursion around the town for press tour participants whereby we visited the Ice Palace – the main platform for education, cultural and sport events in the town. 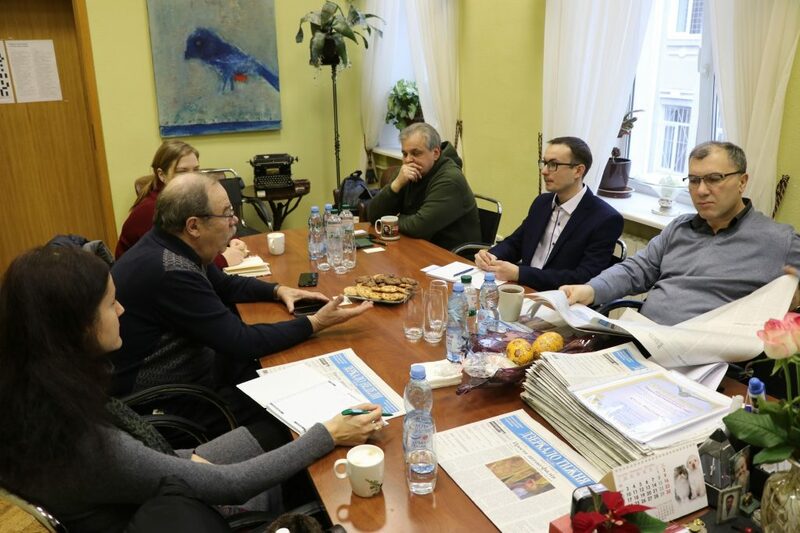 On December 13, 2018 foreign journalists had a number of interesting meetings in Mariupol. We explored the history and development of Mariupol State University. Olena Bulatova, the First Vice-President of the University, told us about current international education projects and their realization in the context of martial conflict influence. Students and lecturers were present at the meeting and their opinions were heard too. 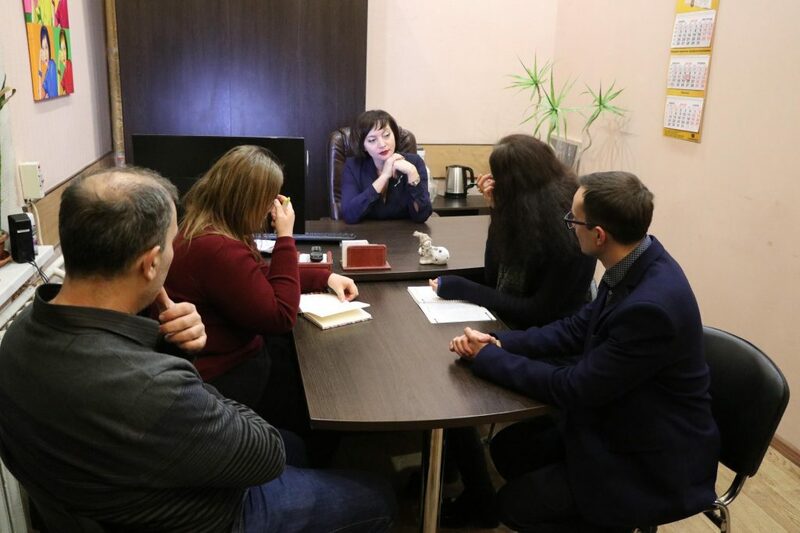 Stepan Makhsma, the university graduate, and now Secretary of Mariupol Municipal Council, told that local authorities make effort to solve the problems of internally displaced people, in particular, students and teachers, within the program of European Council. We also exchanged the experience with Olena Kalaitan, editor-in-chief of “Priazovskiy Rabochiy” newspaper, in the field of newspaper release. Afterwards, participants enjoyed the excursion around the town. 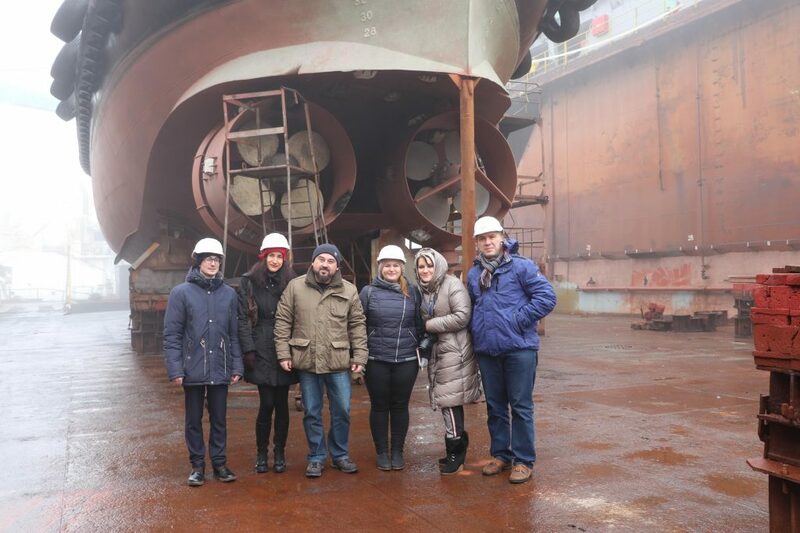 On December 14, 2018 foreign guests visited Mariupol Ship-Repair Dockyards. While talking to its Director, we were convinced that not only quality ship repair is taking place here, but they also have all the possibilities to build new ships. We discussed the cooperation with international ship-owners, activity during the war, Kerch Strait blockade, engagement of experts and industrial potentials. 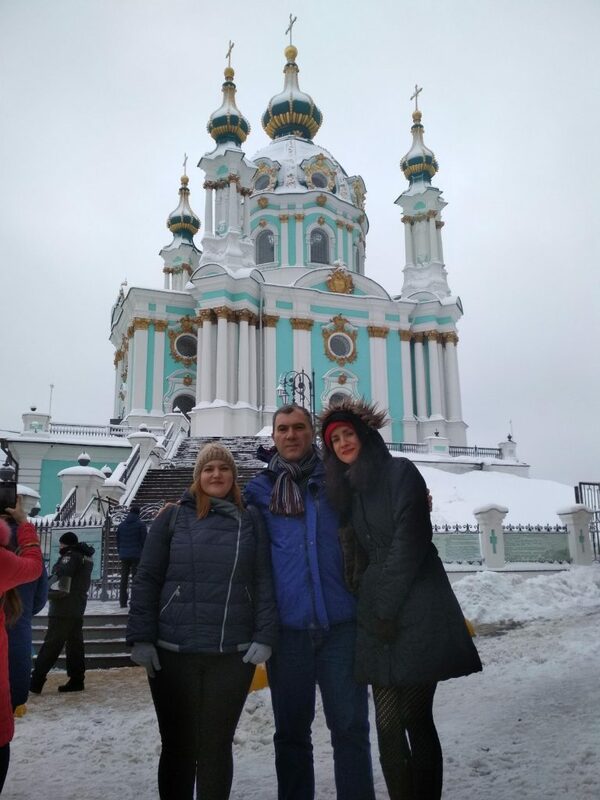 On December 15, 2018 the group of foreign journalists looked around Kyiv. This was precisely the day of Ukrainian Orthodox Church’s Unification Council. The colleagues were interested to listen about life of Kyiv citizens, church and historic places of the capital.